At its meeting of Tuesday 16 April 2013, a report was put to Council regarding the future of the much loved 120 year old Boot Factory site on Spring Street in Bondi Junction. In summary, the Boot Factory building is in a structurally unsafe condition as the brick walls have continued to settle and rotate outwards and inwards, including increased cracking since installing temporary wall supports in recent years. Our $1,000,000 + estimate to repair the building, is not a rebuild nor modernisation, nor to make compliance with NCC 2013 BCAv1. As it is not economically viable, and includes more structural bracing as time progresses, demolishing the Boot Factory building now will provide a safer adjacent community. In the light of this advice, Council made the difficult decision to resolve to support the report’s recommendations at the meeting, which was again endorsed at an extraordinary Council meeting on 29 April 2013. The Boot Factory is over 120 years old. It was acquired by Council in 1984, and at that time it was already in a fragile and degraded state. Since taking ownership Council has undertaken structural works and repairs, spending more than $640,000 since 1995. We have also commissioned a series of independent assessments of the site and the building. These reports have highlighted that despite Council repairs there are major structural issues and continued deterioration due to the standard of its original construction and materials. What is the heritage status of the building? Council has listed it under the Waverley local Environment Plan 2012 as being of local significance, and it is also listed on the National Trust Register. The factory has significant historical value to the Waverley community, which is why Council has tried over many years to preserve it. What's wrong with the building? The walls are buckling and rotating, becoming detached from the steel tie rods that were put in place in 2010. Water penetration is increasing all the time causing the timber wall column beams which attach to structural floor beams to rot and cement to fall to the ground. Cracking is increasing to the internal face of the 2nd floor level wall above and below the windows. A combination of these structural issues will cause the building to eventually collapse. What independent advice has Council received? 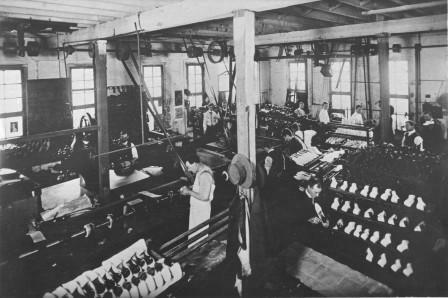 Council has commissioned several reports from independent building consultants on the state of the Boot Factory. These have been peer reviewed and the findings supported by the peer reviewers. a heritage design consultancy assignment to explore options for restoration and adaptive reuse. The reports have highlighted continued deterioration of the building and have identified that continued restoration attempts would be cost-prohibitive and not necessarily protect the building from more structural deterioration. The Factory has been the subject of seven public Council reports since 2007 based on these findings highlighting the structural issues. At its meeting in September, a motion was put to Council seeking to have an additional independent heritage assessment carried out on the Boot Factory. The motion was unanimously supported. The motion requested that an independent heritage engineer be given access to the interior and exterior of the Boot Factory to make a separate assessment of its condition, and paid for using funds raised by local residents. Council note concerned residents have engaged an Independent Heritage Engineer to view and assess the condition of the Boot Factory distinct from that to be engaged by Council. Subject to Points 3 and 4 below, Council allow this Heritage Engineer access to the interior and exterior of the Boot Factory to make a separate assessment of its condition. (a) Endorse, on behalf of Council, the suitability of the Independent Heritage Engineer to professionally perform the work. (b) Ensure all reasonable standards and practices are adhered to, including Occupational, Health & Safety requirements. (c) Provide an appropriate Council representative to accompany the Heritage Engineer during the inspection. The report produced by the Independent Heritage Engineer is made available to Council’s General Manager as soon as it is completed. The report has been received by Council's General Manager, and was considered at the November Council meeting. For more information, read on to Next steps. What attempts has Council made to preserve the building? Council has spent more than $640,000 since 1995 as well as funds before this time attempting to preserve the building, but this has only slowed deterioration. Did the independent advice provide options for repair? $1.2 million - basic repairs which would bring the building to a safe standard but not make it compliant with building standards for access and services. This investment would also need to be repeated every decade as it does not address the structural issues permanently and does not include works which may be necessary to the foundations. $2.5M - $3.6M–adaptive reuse options to improve access and services (presented by design studio architectural consultants in March 2011). Adaptive reuse is the process of adapting old structures for purposes other than those initially intended. The options are concepts only and the estimates don’t guarantee that they would protect the building from further structural issues. They were put to Council in April 2011 and the report concluded that adaptive reuse was not viable from a financial point of view, and technical, social and financial risks were quite high compared to benefits to be gained. Councillors did not vote to implement any of the adaptive reuse options or explore them further. Given the independent advice that the building is a risk to community safety, bracing works were undertaken to secure the Boot Factory. These works, which have now been completed, involved attaching steel rod bracing to the floors of each level, as well as the timber columns to secure the upright structures and prevent them from rotating and bowing. Ties were also bolted to the internal brick walls to restrain walls to the perimeter of the building, and columns (steel beams) bolted against brick piers on the eastern and western sides from the floor to the roof to prevent the parapet from collapsing. Chain wire fencing is still in place around the immediate perimeter of the building to prevent public access, but hoarding has been removed from outside the building and the Mill Hill Community Centre so that Norman Lee Place can now be used as open public space again. This means that the building is now temporarily braced and secure while a decision is made about the future of the site. The issue of the Boot Factory was again raised at an Extraordinary Council meeting on 29 April 2013, where the original motion to commence the Development Application (DA) process for the site was endorsed. Should a DA seeking to dismantle the building proceed, a thorough independent heritage assessment would be commissioned to recommend options to recognise its history and consider ways of acknowledging its legacy. A report was considered at Council’s November meeting regarding another engineering assessment of the Boot Factory building in Bondi Junction, which was commissioned by some concerned community members. The Council report detailed the differences between the new assessment by Dr Eric Smith and other assessments, with advice from independent engineers the Building Diagnosis Centre. the details of the documents being prepared for the DA to demolish the Boot Factory. This information looks in detail at the history of the building, its current condition, and any options for the building going forward. the benefits of expanding the DA process to allow for the consideration of more alternatives for funding and re-considering retaining the building in some form. These briefings will be held over the coming months, and will help determine whether Council proceeds with a DA in any form for the site. work with the local Historical Society and Library to preserve all existing photographs and other historical records of the building for exhibition. Council has no current plans for the site. Strategies for the long term future of the site, as well as the adjacent sites of Officeworks and the Mill Hill Centre (which are Council owned), are currently being considered as part of the development of a vision for Bondi Junction. Download the independent engineering reports prepared by the Building Diagnosis Centre for the Boot Factory site. Download an independent engineering report prepared by Dennis Bunt Consulting Engineers, which was commissioned by some concerned community members.